I am busy at the SENZ show this weekend (it’s a fabulous show this year, come check it out – see my previous blog post HERE). But I just wanted to share with you that I am offering a free girls’ night out on Monday 8th July! 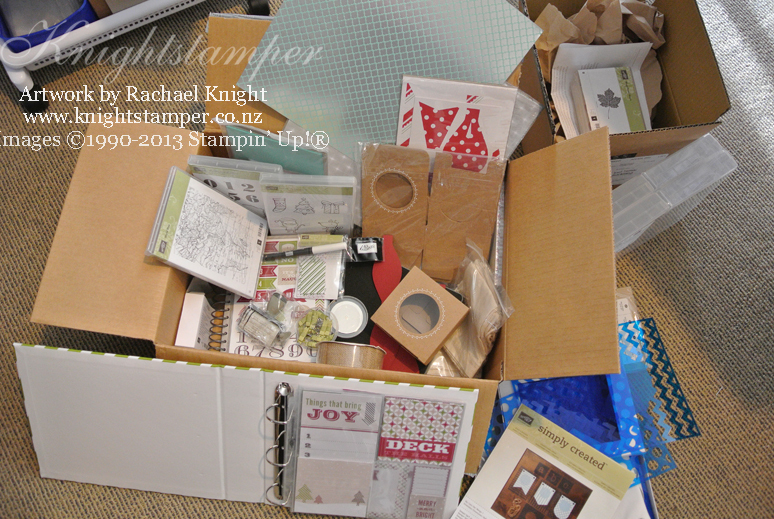 One of the really great things about Stampin’ Up! is their focus on making a difference for others and they are great at supporting those in need when there are particular causes like the bush fires in Australia. But they recently announced that they’ve extended their support of Ronald McDonald House Charities to NZ and Australia, so there is a fabulous new stamp set in the catalogue that you can buy and $3.50 (for NZ) from each set goes to support this wonderful charity. 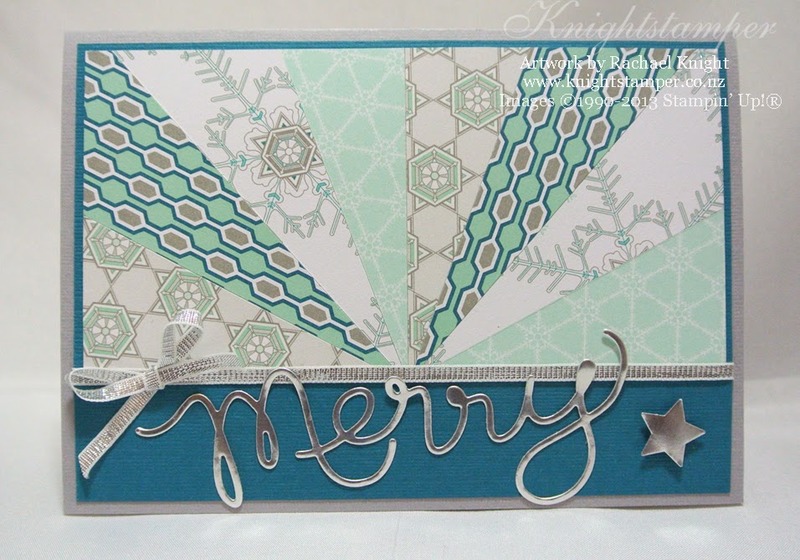 I have a lot of card fronts that I’ve used in the past to show off some of our fabulous products but a lot of those products are now retired, so my card fronts are retired too! Rather than throw them out, I want to re-mount them and donate them to charities including Ronald McDonald House. So this is where you come in! I don’t have enough time to do the hundreds of cards I have here, so I am offering a fun night where you can come and sit with me and help me put these cards together. We’ll just be re-mounting cards, not making them from scratch, but during our time together there’s every chance you’ll learn some tips from me and the others attending! For every 10 that you put together, you can choose one to take one home. I’m supplying everything for us to do this, but if you would like to contribute and bring your own adhesives to use on the night, that would be wonderful! I’ll have a few snacks to nibble on and it will be a nice relaxing catch up with a great cause to give us all the “feel good” factor! Seats are limited so if you’re interested, please email me now (click here) to reserve your spot! Yes, I’m still here (sorry, I know I say that a lot after long blog “holidays”!). 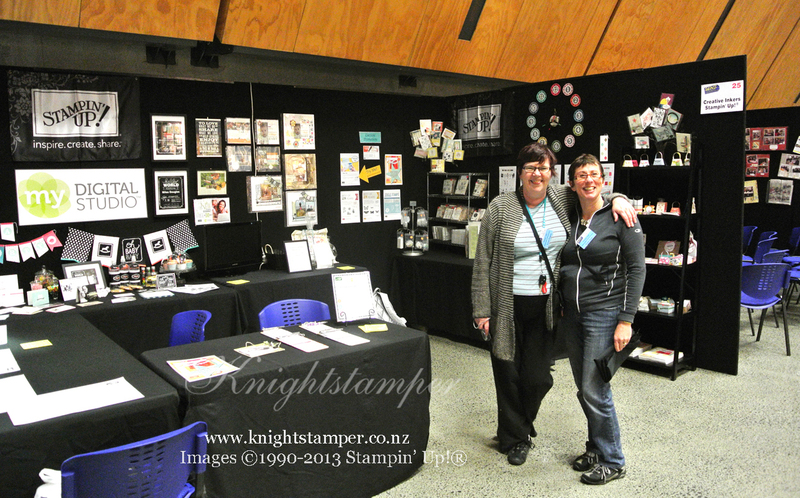 Since we went to Convention at the end of May I’ve been frantically busy preparing for the launch of the new catalogue and the SENZ show which is on this weekend at the Vodafone Events Centre in Manukau! This is my home turf which is just as well as I couldn’t fit all the tables and displays into the car in one load, so was glad I didn’t have to drive far to get everything else! 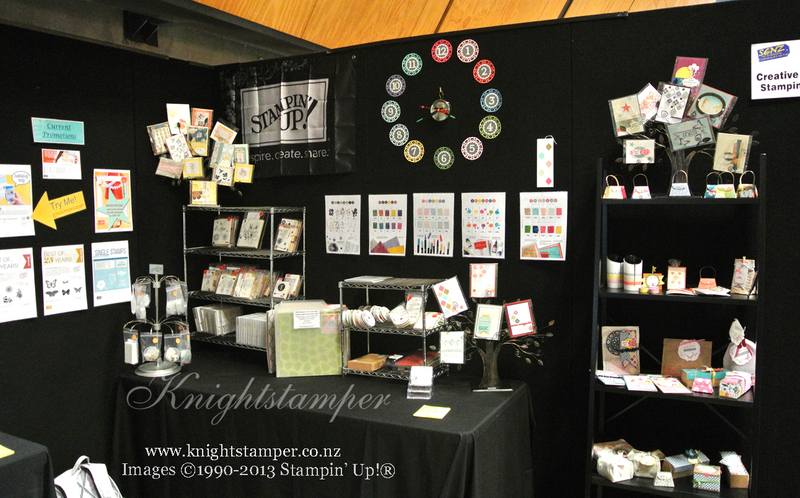 Here’s a peek at our stand which Karen, Rosie and I set up today. They are in the third photo looking very happy as we’d just finally finished setting it up the way we wanted it and we were pretty pleased with ourselves! As you may know, I love MDS and hence that has become a feature of our stand! But I did a lot of hand-created stuff too – if you can spot the “clock” on our stand wall, I die cut the backgrounds for the numbers out of our Subtles colour range plus a couple of fabulous new in-colors too. It was fun although by the end I was getting a bit tired of poking all the bits out of my doily die-cuts! The show is open Friday to Sunday, it opens for pre-paid ticket holders from 9:30am or you can buy tickets at the door from 10am. It closes at 5pm on Friday and Saturday and 4pm on Sunday. You do need to come and visit us to see everything up close – it looks far better in real life than in these quick snapshots! 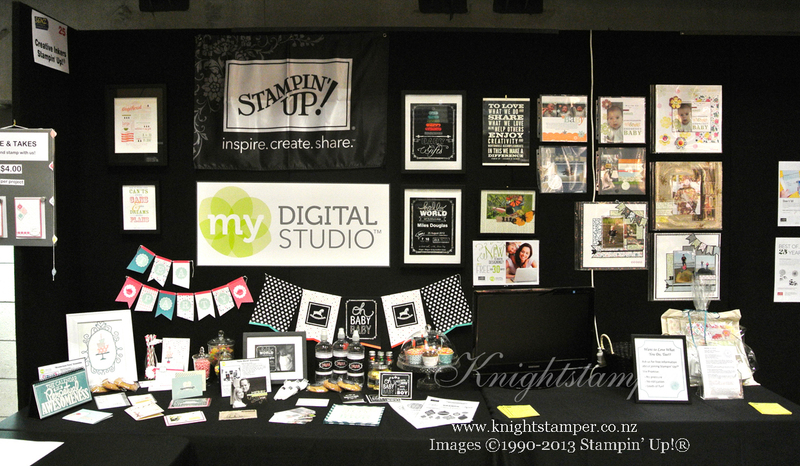 I will be presenting “what’s new” from Stampin’ Up! each day at 11am in the Demonstrator Theatre area – which just happens to be right next to our stand. We have some fabulous offers on our stand this year and there’s a big range of retired products from our collective craft rooms that you’ll love having a look through – come and get them while you can!